After J.F. 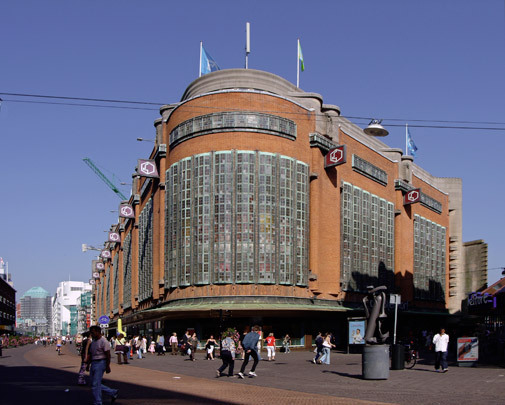 Staal had been declared winner of a limited competition for a design for this department store, the commission then went to one of the losers, Amsterdam School architect Piet Kramer. One of the last buildings to show the plastic syntax of the Amsterdam School to full advantage, only the exterior has remained as it was; during the 1960s the six storey high central well was filled in with additional floor space.